"Terra incognita" - so called Karelia Nicholas Roerich, who discovered this land in the early twentieth century and created here more than two hundred paintings. Karelia, after a hundred years, has not lost its pristine beauty that has conquered the great artist and philosopher: the lakes are shrouded in silence and tranquility, and the mossy forest paths beckon travelers to become the pioneers of this "unknown land", which still contains many mysteries. 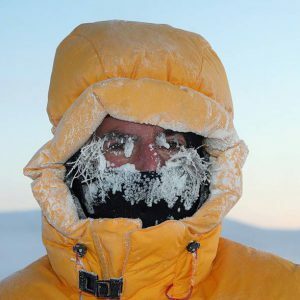 Karelia tourism has become a new direction in Russia. Coming to the northern Ladoga Lake, you experience forgotten childhood sensations: it seems that you are in a magical forest, and you want to pull at the sleeve of the elders and ask: "And what is this? And this is real? "Panoramas of Lake Ladoga, the majestic Valaam, amazing nature and a lot of words that sound unaccustomed to as magical spells: Sortavala, Ruskeala, Vuoksa, Taruniemi (by the way, translated from Finnish as" fabulous "). In recent years, Karelia has become a very popular tourist destination for Russians and foreign tourists. Nevertheless, silence is the first thing you pay attention to. Here it is comprehensive - for residents of large cities with unaccustomed it for the first time even seems ringing and as if it tells what to do next. In Karelia you can hear the music of the water: the noise Ruskeala countless waterfalls and babbling streams, majestic silence of Lake Ladoga and rapids rampage Kulismayoki River. It is here that there is the highest waterfall in southern Karelia - the 19-meter "White Bridges". Another place of pilgrimage of photographers from around the world is the Ahvenskoski waterfall in Ruskeale, which does not freeze even in winter. Ruskeala Park itself has an amazing acoustics. In the Italian career of the mountain park in August this year, the first international music festival "Ruskeala Symphony" took place. An open-air music sounded Vivaldi, Verdi, Rossini, Puccini, Neapolitan songs and symphonic interludes from the opera. The festival is planned to be held annually, and fans of opera will be able to enjoy enchanting music in grandiose marble scenery. Karelia tourism rise rapidly. 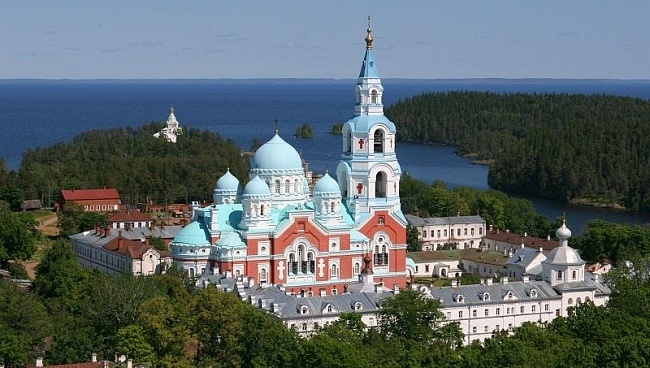 According to local residents, sometimes on the shore of Lake Ladoga you can hear the distant chime of the bells of the Valaam Monastery, located on a picturesque island a few kilometers from Sortavala. Founded in the middle of the 14th century, it was completely destroyed as a result of numerous wars. In 1715, under the decree of Peter I, the monastery was rebuilt and the construction of the Preobrazhensky Cathedral began. Today it is one of the most famous Russian monasteries, which attracts pilgrims from all over the world and made Karelia tourism famous. On the territory of the Valaam Monastery there are a museum, a library, refectory, a farm, a cheese factory and famous gardens, where now they grow apples, grapes and other fruits that usually do not ripen in the north. Karelia tourism. What to see in Karelia Russia? A unique feature of Karelian landscapes is that they can be viewed indefinitely for a long time, thoughtfully examining and studying every detail.You can spend the whole day in the mountain park of Ruskeala. Want a real Karelia tourism? Just start the tour with a journey underground, where the atmosphere itself seems a bit mystical. Here you can find marble walls and quaintly shaped stalactites, and the underground waters store their interesting history. 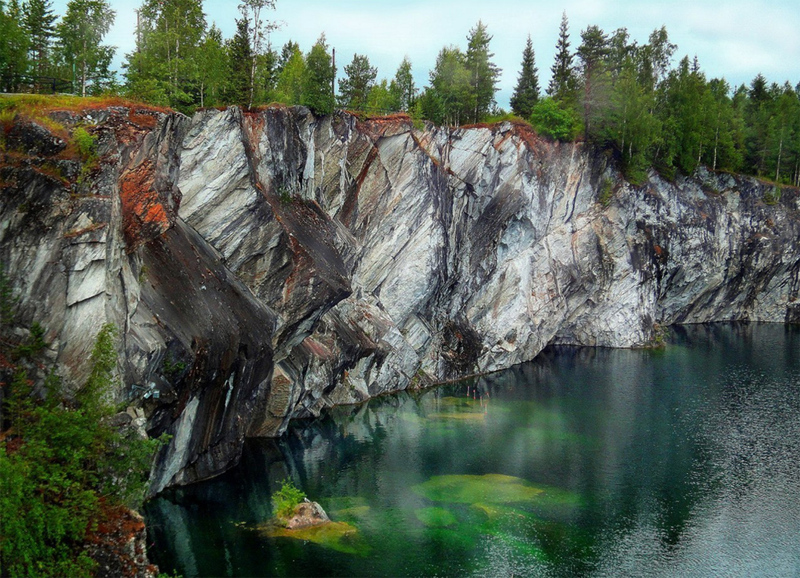 In imperial times in Ruskeala mined marble for the construction of St. Petersburg. Later, when the canyon was flooded with water, a real underground lake appeared here. 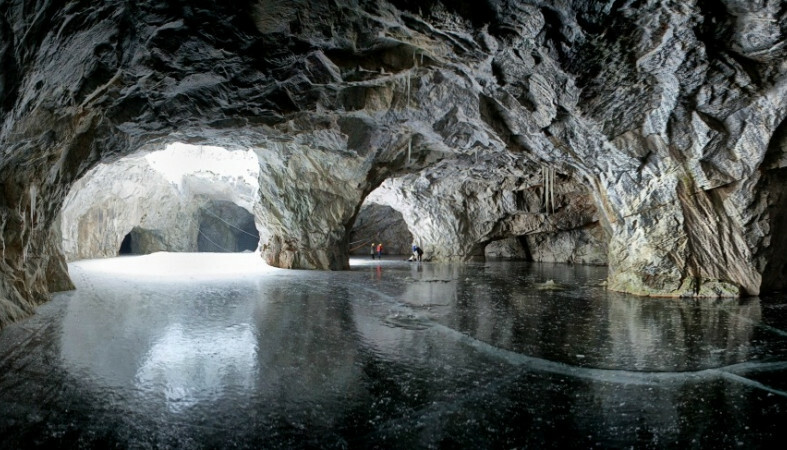 Until now, at the bottom of the lake, the depth of which reaches 72 meters, they find ancient tools, and local legends say that somewhere here Kolchak's gold is hidden. 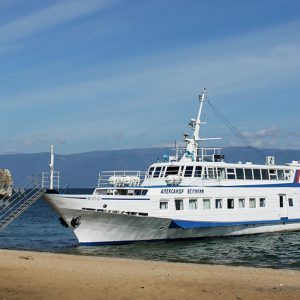 Continue the tour with a small voyage by boat on the clear water of the lake surrounded by mountains. Ladoga skerries are another unique heritage of the northern nature. Once on the place where the majestic waters of Ladoga now flow, there were mountains, but over time the river swallowed them, leaving rocky peaks above the surface. Rocky islands and peninsulas formed fanciful labyrinths of Ladoga skerries, and some reefs remind Norwegian fjords. For example, the height of the Pekanriutt reef in the town of Myakisalo reaches a height of more than 90 meters. There is one more place in Karelia that is breathtaking: the wooden church of St. Andrew the First-Called, located in the village of Vasilyevo near Priozersk, in the very mouth of the Vuoksi River. She even entered the Guinness Book of Records as the only church built on a small rocky island, which is her foundation. In the mornings, when the river is clouded by a fog, it seems that it just hovers in the air and disappears like a magical mirage, with the first rays of the sun. 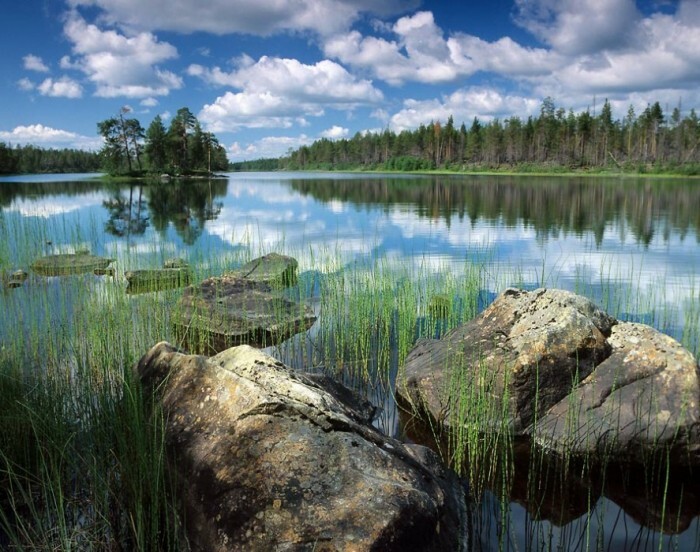 Northern Ladoga Lake is a paradise for lovers of long unhurried walks. The main thing here is the right clothes and shoes, so that nothing would prevent you from descending to the very shore of the lake, jumping from stone to stone, and the evening coolness did not become a hindrance to the long evening promenade. The most amazing thing is that you can "walk through the forest" in the true sense of the word in Karelia: one of the largest rope parks "Tarulinna" in the park-hotel "Winter's Dacha", where from an altitude of 16 meters you can admire the impressive panorama of the forest, boundless expanses, Ladoga and islands, resting on the watery surface. For lovers of outdoor activities there is another extreme, albeit completely safe, type of recreation - quad bikes and buggies, light open cars that can be rented at the Terra Nordika Recreation Center, located near the town of Sortavala. 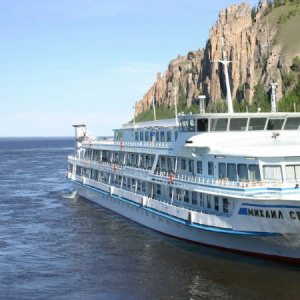 For travelers, routes of varying degrees of complexity have been developed that will allow you to enjoy the breathtaking panorama of the Ladoga Lake, listen to local instructors' stories about the history of these places, get acquainted with the life of ancient Karelians and modern inhabitants of the region. In the northern Ladoga area carefully treat history and honor the traditions of the region. So, in Sortavala, a small town with a population of about 20 thousand people and an amazing architectural appearance, the street art project "Wall History" was recently launched. This city attracts many tourists and rise Karelia tourism. Within the framework of the project, the facades of historical buildings in Sortavala began to be decorated with portraits of outstanding public figures. Today in the city you can already see the portraits of the Finnish architect Uno Ulberg, who built most of the iconic buildings in the city, and the surgeon Gustav Winter who lived and worked in Sortavala at the beginning of the 20th century. The historic building of the Gustav Winter dacha, where Nikolai Rerikh stayed, has survived to this day and is located in the park-hotel "Winter's Dacha". Today there is a museum in which the interior items of the beginning of the 20th century, unique archive photos and documents are presented. If you are going on a trip in the fall, take a look at the thematic festival in the medieval fortress of Korela, where the military historical reconstruction clubs from Russia, Estonia and Latvia represent the life of the Russian garrison of the fortress during the Northern War of 1700 and conduct a demonstration battle between Swedish and Russian troops. The fortress itself is one of the key historical sights of the Northern Ladoga Lake. Mortgaged at the turn of the 13th and 14th centuries by the Novgorodians on the Castle Island on the Vuoksa River, for a long time it was the most north-western city of Russia and to this day gives the impression of a bastion guarding the beauty of the Northern Ladoga area. 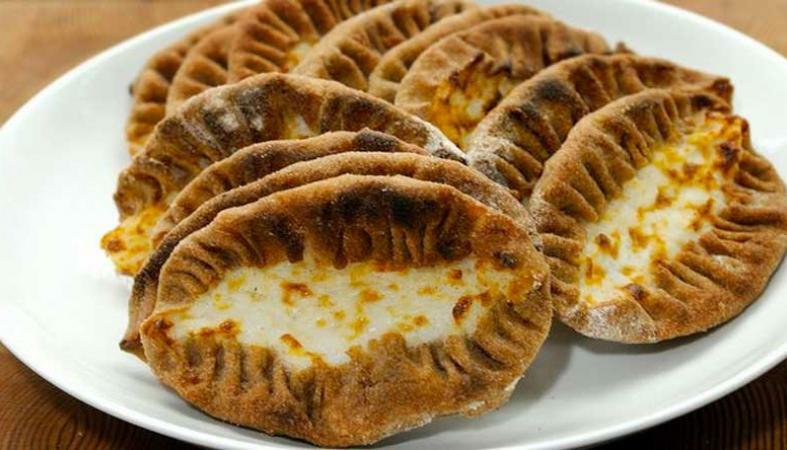 When you are asked to taste a Kalitki in the North Ladoga area, do not think that you have misunderstood something: Kalitki are a dish of local cuisine, open pies made of rye dough with various fillings. This dish completely reflects the essence of local cuisine: simple, satisfying, tasty and no exotic products - just what is grown on the land here. That's why people love Karelia and Karelia tourism. The same principles are followed in local cafes and restaurants, which will pleasantly surprise even the most demanding gourmets with a new look at Nordic cuisine. So, the menu of the restaurant "Gustav Winter" in the village of Tarulinna on the shores of Ladoga Lake abounds with local delicacies: sigom with herbs and vegetables for a couple with alder haze, Karelian trout with honey and hazelnuts, the famous Karelian ear, and in the gastronomic cafe "Point on the map "In Priozersk, you can taste pine crème brлеlée with lavender cookies, for which you will return here again and again. How to get to Karelia region? If you are planning a trip from Moscow, you can fly to Petrozavodsk: flights depart daily from Domodedovo airport (journey time is 1 hour 40 minutes). Travel by train takes one night. To get from Petrozavodsk to Sortavala you can by bus (600-700 rubles for four hours of the road) or by taxi (the trip will cost 4-5 thousand rubles). The most convenient way to get to Karelia is from St. Petersburg, from Ladozhsky railway station, from which there are electric trains to Sortavala (the journey time is 5 hours and 30 minutes), as well as a minibus with TV and air conditioning, which for 600 rubles will take you from metro station Ozerki to Sortavala . 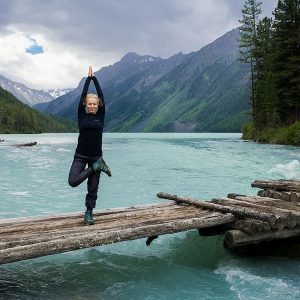 Where to stay in Karelia Russia? Travelers should not stop in Petrozavodsk, the road from which to Valaam or Ruskeala takes five to six hours. We advise to stay in one of the hotels on the way of the main tourist routes - in Priozersk and Sortavala cities. In both cities you can find the hotels of the "Point on the map" network. Here you can relax in close proximity to nature, surrounded by coniferous forest, on the shores of Ladoga Lake. Double accommodation here will cost 3500 rubles per day. If you travel to the Northern Ladoga with the whole family or a big friendly company, the Parkhotel Winter's Dacha will be an excellent option, where you can comfortably accommodate in townhouses (from 11 500 rubles for four people), cottages on the shore of Ladoga (from 20 000 rubles for six people) or in one of the cozy double rooms of the hotel (from 3700 rubles).Spending the time with Karelia tourism do not expect a 5-star hotels, generally local hotels provide everythng that you need - a roof, a bed, a nice local food. 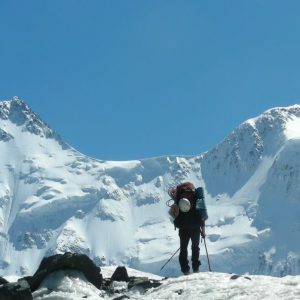 Iwanttovisitrussia.com provides an unique opportunity to visit this amazing place! Just write to us!